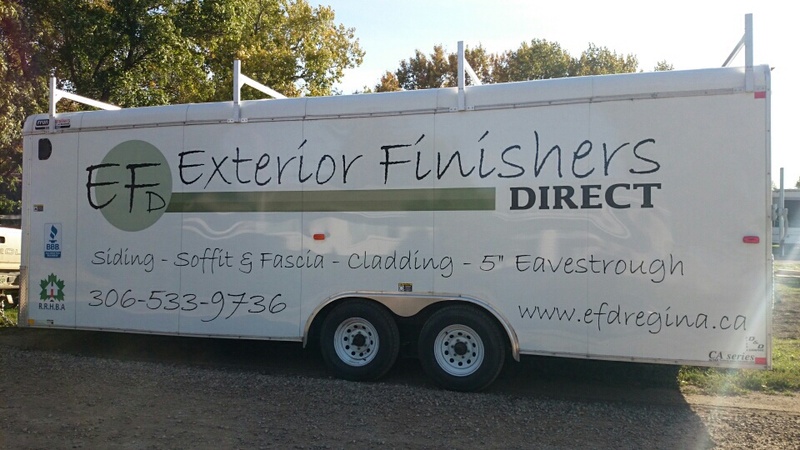 We recently decided to purchase a larger trailer to help meet the needs of our growing exterior finishing business. To go along with this new upgrade we figured it was time to add our logo too. And since the trailer is 22 feet long you can't miss us! It's an exciting and necessary step for Exterior Finishers Direct. Hope you'll see us around town. We'll be hard to miss! Exterior renovation on a house with hail damage.